May 1963, Kelly Ingram Park held organized protests and boycotts as a part of the Children’s Crusade of Birmingham. In response to these protests, law enforcement officers used fire hoses and dogs to stop the protesters. This event in history was broadcasted internationally, turning people’s attention to the endless fight for racial equality. Kelly Ingram Park holds the hearts, blood and lives of many who took a stand for justice everywhere that day. 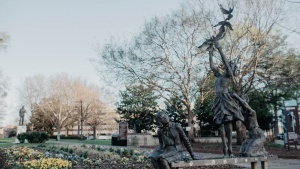 The park historically stands across the street from the Civil Rights Institute with statues and memorials decorating the acre. It’s spring colors are as vibrant today as they were then in a field of black, white, and red. Is a string quartet the new rock and roll? A musician guides his bow across the strings of a cello. 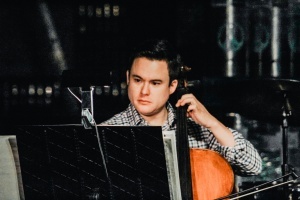 He is tucked away behind a conductor stand, embracing the cello as if it is a beloved friend. Just a few measures into the song, he thrusts the bow with vigor. The instrument delivers a melody reminiscent of “Bohemian Rhapsody,” Queen’s chart-topping, pop-rock anthem. Have your ears deceived you, or is a conservatoire-trained musician performing rock ‘n’ roll hits on a cello? 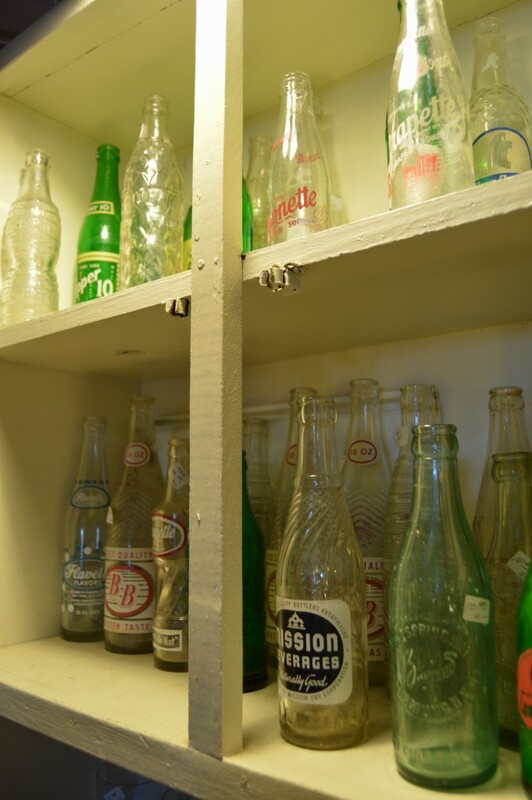 Tucked away on the corner of 2nd Ave. N and 23rd St, What’s On Second is an antiques and collectibles shop with as much character as inventory. “We carry everything that has ever been made in one convenient shopping location!” is the claim on the store’s Facebook page. 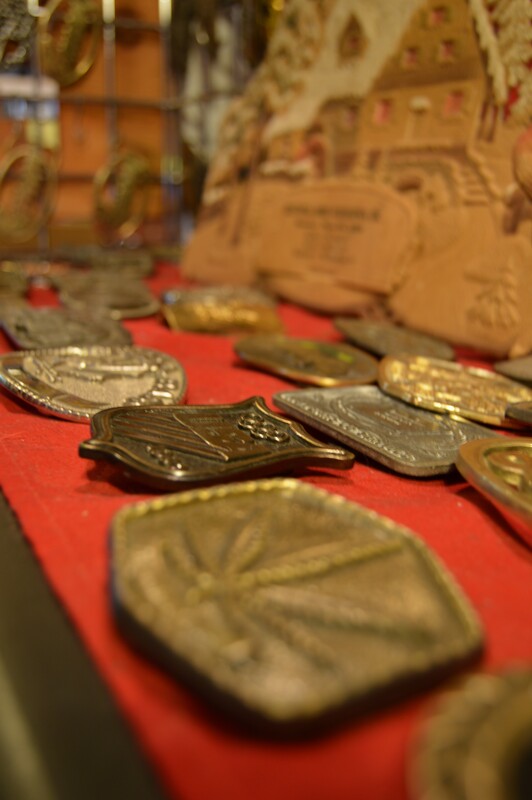 The tiny shop is packed to the brim with everything from vintage toys to antique chandeliers and collectible belt buckles. 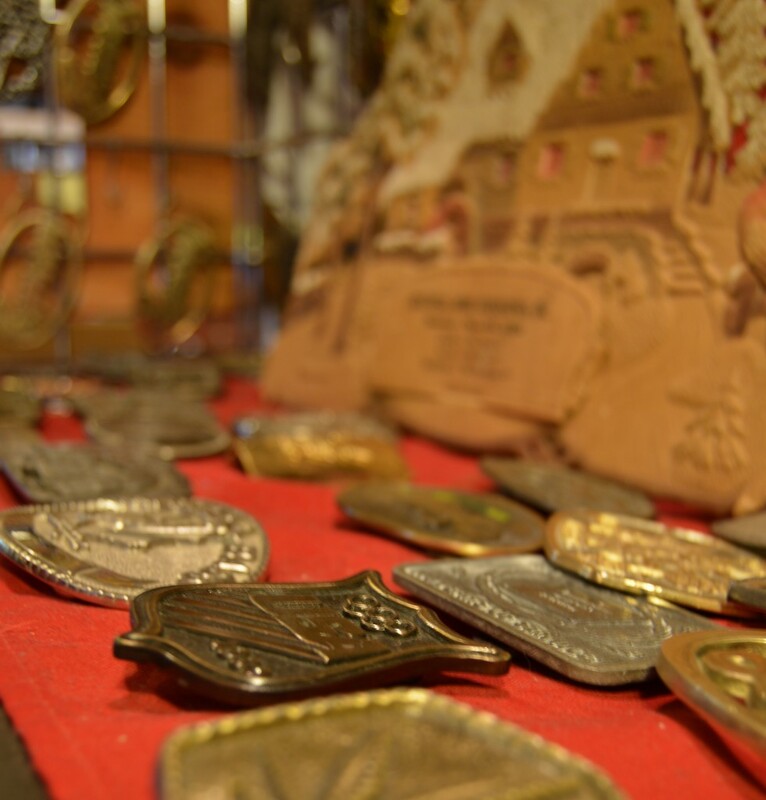 Unlike antique malls with staged areas for each vendor, What’s On Second? is piled with unique items. Customers enter the shop and are free to wander through the three stories of comic books, lamps, cigar boxes, vases and vinyl records. 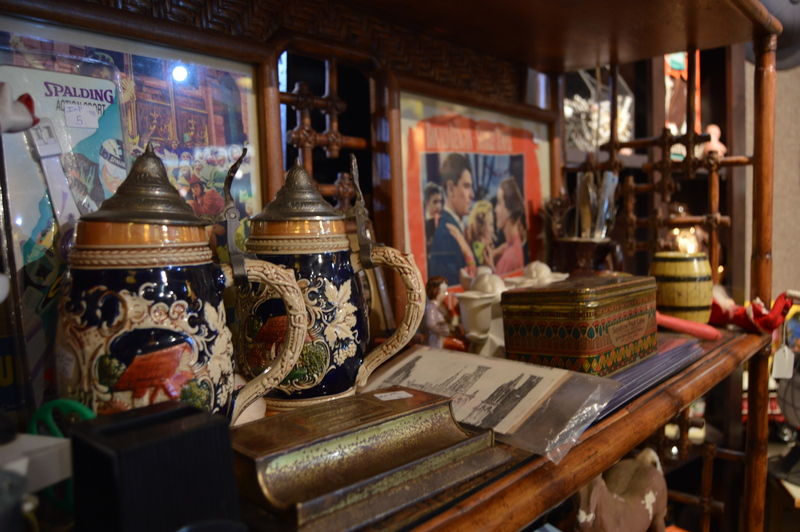 With traditional items you would find in an antique store, as well as an entire section dedicated to collectible video games, the store has something for nearly everyone. What’s On Second? 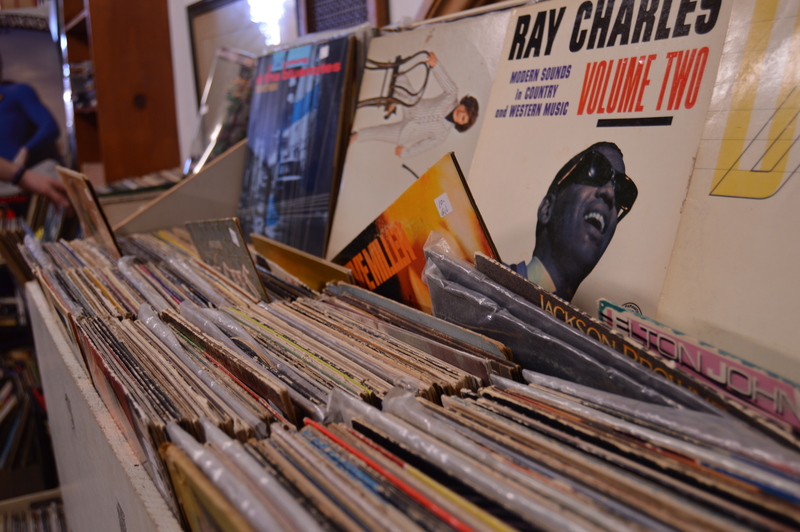 is open Monday through Saturday from 10 a.m. until 6 p.m. and can be found on Facebook at www.facebook.com/whatsonsecondbirmingham. Resting atop Red Mountain, the Vulcan in its 75 years of watching over the Magic City, can tell that something new is in the air. He hears people talking, sees them getting into their cars and driving over the mountain and into the city. There is a reason he has never turned back to look at the suburbs. For even the Vulcan knows downtown Birmingham is the place to be. In the past five months, Birmingham has watched new developments change the skyline of the city. A new entertainment district reshaped the layout of the city’s convention center, the BJCC. Birmingham’s historic minor league baseball team made the move from Hoover to Railroad Park. 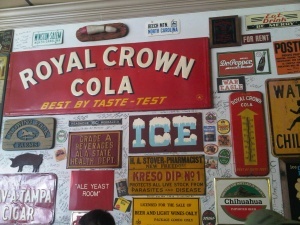 And businesses like Iron City helped to make downtown a happening destination. “I have lived in Birmingham all of my life, and I have never heard or felt more positive things about downtown than now in any of my 40 years of living here,” says REV Birmingham CEO David Fleming. As a non-profit organization, REV Birmingham centers on the revitalization of Birmingham’s city center and surrounding neighborhoods. Fleming says the city has come a long way, considering its disadvantages transitioning into the 21st century. 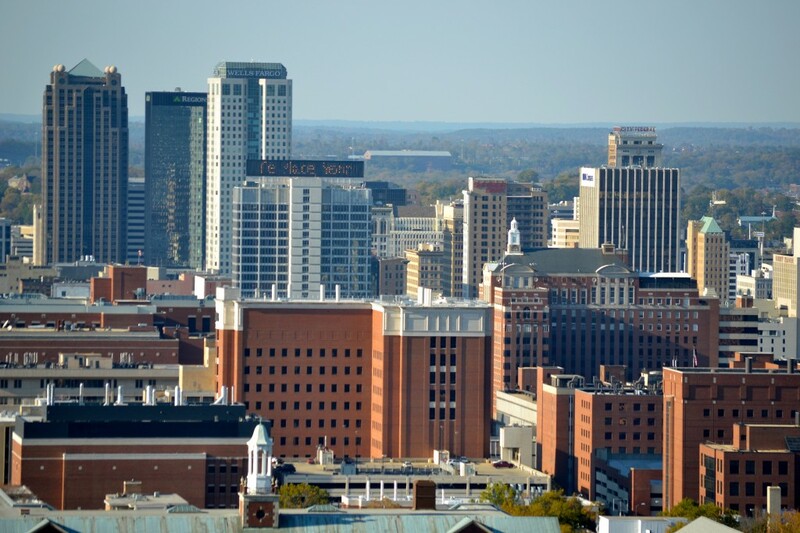 “Being an industrial-based city for the majority of its life, Birmingham had to transition. Cities like Birmingham, Pittsburgh, Louisville and Cleveland had to learn how to evolve,” Fleming says. Despite the set back, Birmingham is growing now more than ever. The city has seen a 32 percent growth of people moving into the city since 2000. Business growth has also increased from 2011 to 2012, and 2013 is promising even more. “All of the trends are pointing in a positive direction. There are still challenges, but people have a much more positive view of the city. All of the major signs show that we are moving in the right direction,” Fleming says. Moving in the right direction does not mean leaving behind the rich history that makes Birmingham so unique. Regions Field is a direct reflection of this fact. 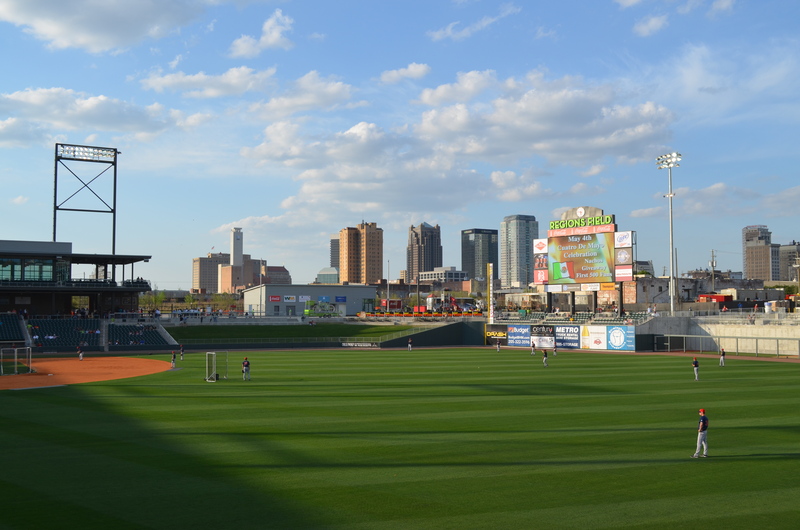 The Birmingham Barons have called Birmingham home since 1885. Its history includes the the Birmingham Black Barons along with a variety of name changes, including The Birmingham A’s and Birmingham Coal Barons. It even includes A-list players like Willie Mays, and who can forget about Michael Jordan’s short stint? The team began at the Slag Pile, later moved to Rickwood Field, America’s oldest ballpark, and then to Hoover Metropolitan Stadium. And now, after 25 years, the team is making the move back downtown. “I have been with the Barons for 20 seasons, [this is] my ninth as general manager, and there is no doubt that the level of enthusiasm and excitement for our move downtown has really spread across the entire metro community,” says Birmingham Barons General Manager Jonathan Nelson. Nelson says there have been talks about building a new stadium for years, but after Railroad Park opened in 2010, the timing seemed right more than ever before. “This opportunity became available, and it made sense on so many different levels to explore the opportunity. And the more we explored it, the more we saw that it could be a reality,” he says. The Barons broke ground on Regions Field in February 2012, and on April 10, 2013, they opened it for their season home opener. “We believe that this new ballpark at Regions Field really offers something for everybody, for individual fans, families, church groups, civil groups and businesses,” Nelson says. “The ballpark concourse will be open everyday. People will be able to access it if they want to run or walk through Railroad Park, they’ll be able to run through Regions Field’s concourse as well,” he says. From Regions Field, turn down 19th Street until you hit Eighth Avenue North. Though you will recognize the area as the BJCC campus, so much about it has changed. The biggest project to be unveiled this year is Uptown, an entertainment district anchored by the existing BJCC and a brand new Westin Hotel. With 1.2 million people visiting the BJCC each year, the project proves to have huge potential for locals and visitors. Greater Birmingham Convention and Visitors Bureau’s Vice President for Marketing and Communication Dilcy Hilly says she couldn’t be more thrilled at the potential Uptown provides. “It’s a great addition to the city. It has given a lot of sizzle that just has been needed for a long time,” Hilly says. The project broke ground in January 2011. The Westin Hotel with its 294 rooms, rooftop pool and bar officially opened during Valentine’s Day weekend this year. 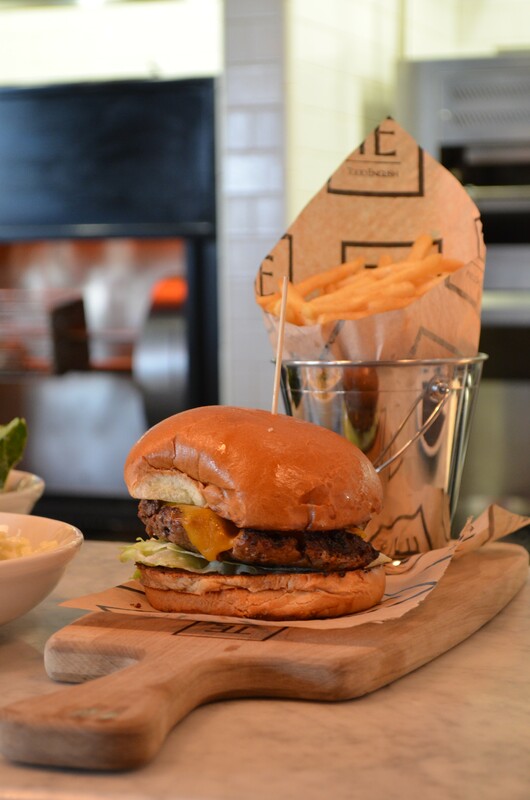 Opening within the hotel was the Todd English P.U.B., the second location for Todd English, a James Beard award-winning chef. The original is located in Las Vegas. Executive Chef for the Birmingham location, Jamie Pruitt, says the restaurant has received a great response from the community. “I think people are happy to have us here in Birmingham. We have hired more than 100 people in the community, and I think it’s great that we are a part a very big project that will link us to the community,” Pruitt says. Other restaurants to open in the area are Texas de Brazil and Octane Coffee, adding to the already vibrant restaurant culture scene downtown. Traveling back to the south side of town, the opening of Iron City, a music venue on 22nd Street South, adds to Birmingham’s growing music scene. 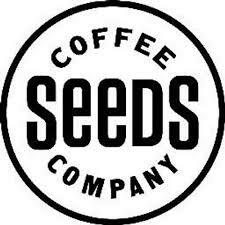 Production manager Michael Creager says owner Steve DeMedicis began to work on his concept three years ago. After purchasing an old warehouse, originally used as a car dealership, he broke ground on restoring the space a year and a half ago. 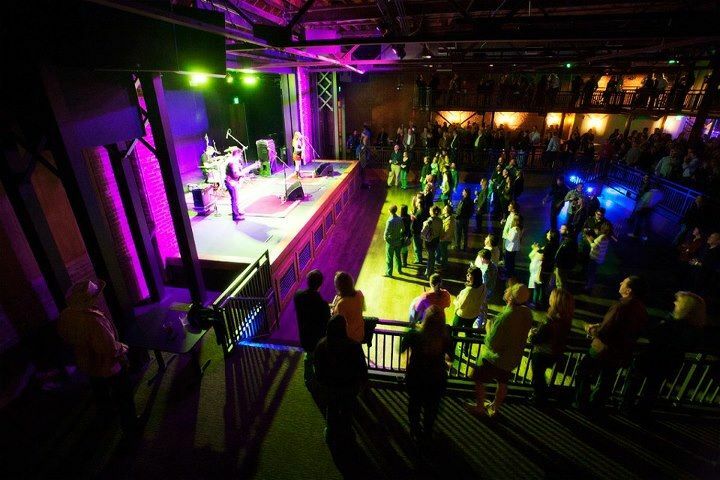 Creager says the decision to build the venue in downtown Birmingham was an easy one. “I love downtown. Steve loves downtown. 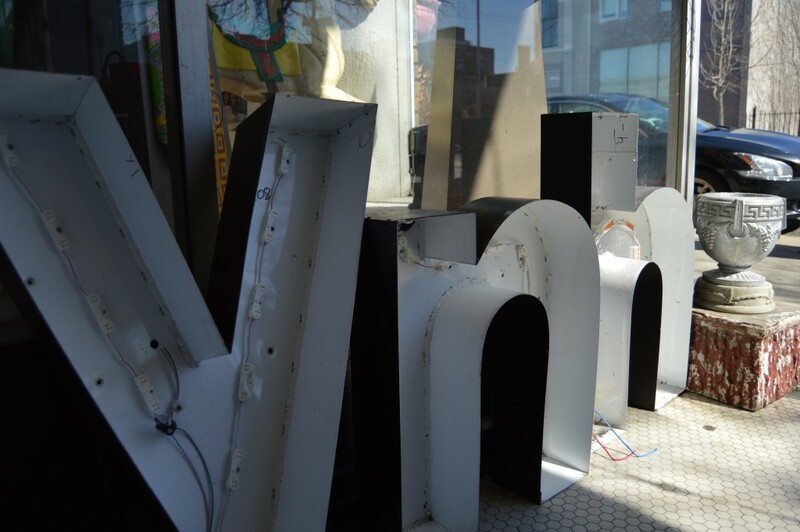 There is just a lot of cultural reasons to bring a focus back to the heart of the city, to restore arts, entertainment, business, gas stations, grocery stores, bringing it back to our generation and generations to come,” he says. 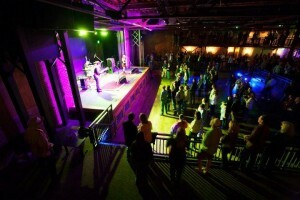 With three stages and a 1300-person capacity, Iron City will stand as a unique venue in the city, providing a larger space than Workplay. But like Regions Field, Creager says they do not want the venue to serve an exclusive purpose. “We are not solely a music venue. We can accommodate a musical performance from small to large scale, but we also want to host a multitude of other events to help sustain the public’s view of a venue our size,” he says. Now that the venue is built, Creager says he is excited for the potential it provides for Birmingham’s growing music scene. “[Birmingham] is an incredible place, and this is something that Birmingham is very deserving of. I have always felt that we had more talent than we had industry in the city,” Creager says. The thing about revival is that it is never static, but instead always growing and changing. And to create this community downtown, everyone has to chip in and help. The burden does not rest on a single organization. “The way [the Barons] look at it is that we are part of the process through which so many great things are occurring in 2013. We talked about the entertainment district on the North side. We talked about the Westin hotel opening up as well. And you talk about us opening up in April. We are a part of the overall process of revitalization for Birmingham,” Nelson says. “Of the things opening in 2013, I don’t think one is going to be the difference maker. All of those three in addition to everything that follows is what will continue that process,” he says. And if this is only the beginning, it’s impossible to not be excited for what Birmingham has in store next. “We don’t even known how our city, particularly downtown, will be different and vibrant in the next 10 years because of these investments that have been made and are being made, not just on the big scale. A lot of small things really add up,” Fleming says. So what’s stopping you? Downtown Birmingham is ready, and it’s calling your name. Don’t miss out on all it has to offer you.